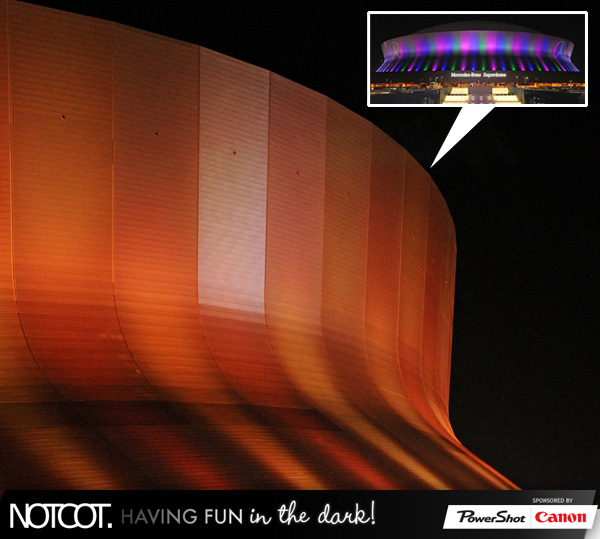 This post is part of NOTCOT Having Fun In The Dark series sponsored by Canon Powershot’s Your Second Shot While taking pictures in the dark means standing super still, you may still end up with more graininess than usual …armed with Canon’s low-light HS SYSTEM, you can trust the tech to help you capture the perfect shot the first time! 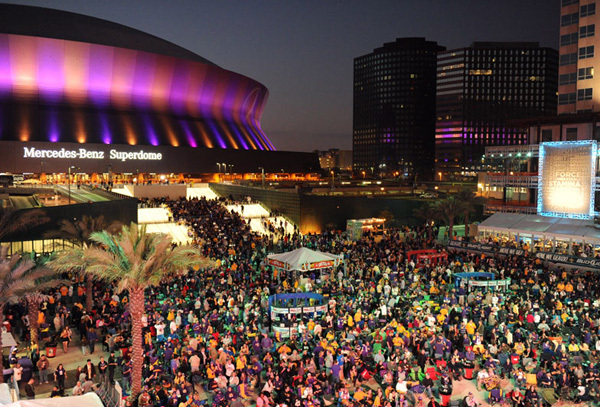 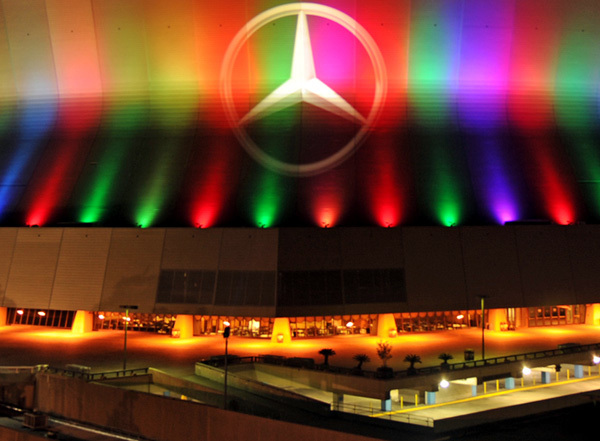 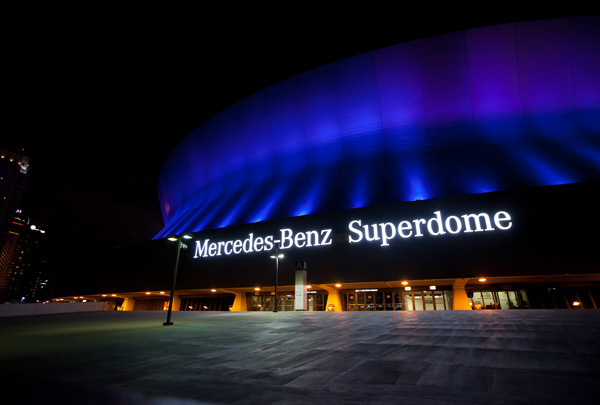 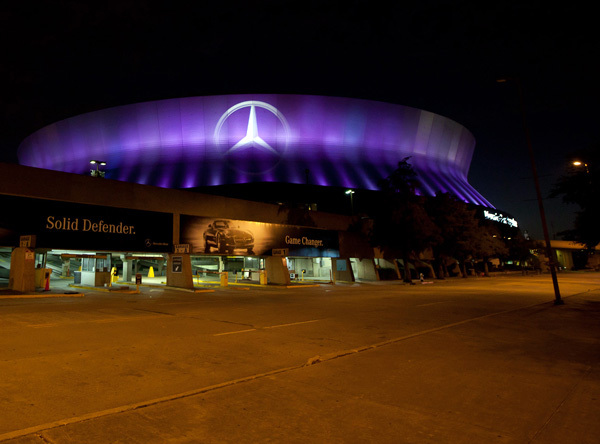 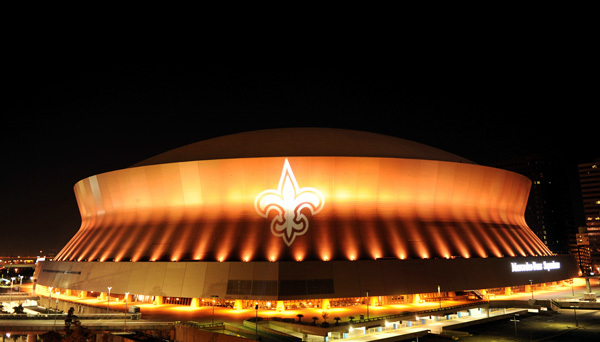 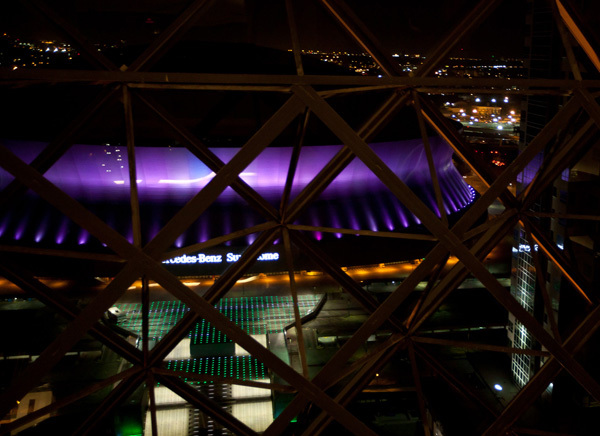 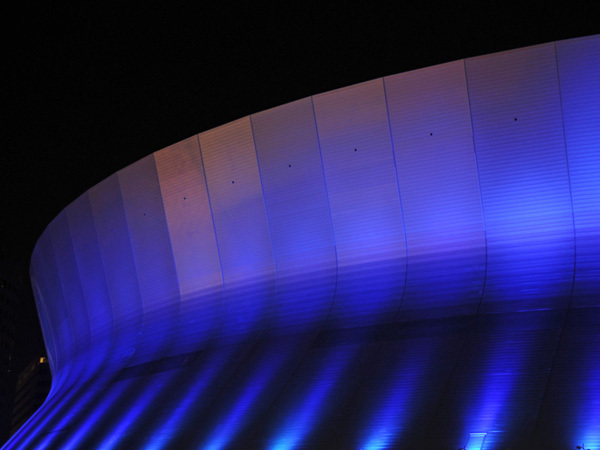 A month and a bit ago the Louisiana Superdome in New Orleans became the Mercedes-Benz Superdome… it is also the largest fixed domed structure in the world, designed New Orleans modernist architectural firm of Curtis and Davis. 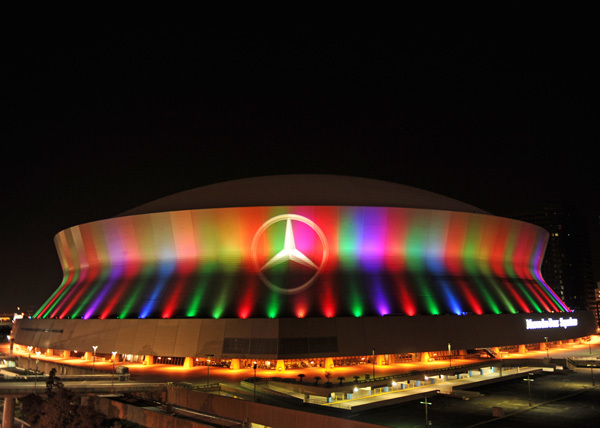 And our Tasteologie Editor, Jackson, had quite the view of it from the New Orleans Hyatt this weekend ~ coming home with some stunning pics and a video of the light show that takes place on at night… it glows through a rainbow of colors! 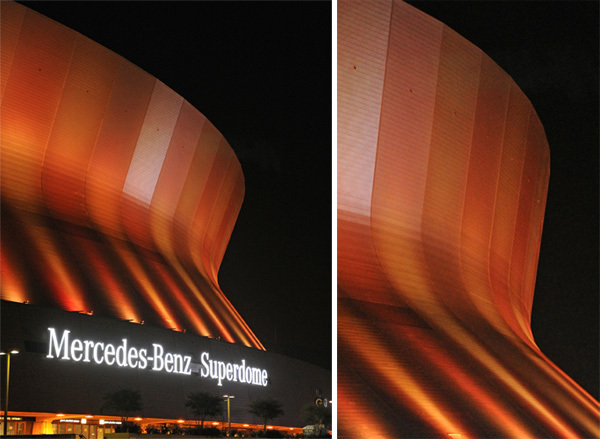 Take a peek at some of the variations on the next page!